I'd like to know how to run faster. I want to make improvements in my weekly race, but don't know how to best approach this. I am a 47 year old male who weighs 81 kgs. I currently run twice a week, about 7 kms each time. Three times a week I do an outdoor fitness class for 45 mins. and then a 5 min cool down. On Sundays I do a 3.8 km loop run with a local surf club this has hills and stairs and is run off a handicap. I am stuck running a constant 17 mins to 17:10. So, all in all, I am running 4 days per week. How best can I get into the 16:30's? Thanks for your question about improving your running on that 3.8k loop. And thanks for providing the detailed information. It looks like you are quite fit. You are doing exercise pretty much every day, so you have gotten yourself in an excellent position to improve further. I am assuming the fitness classes are quite intense, i.e. mostly anaerobic exercise. In addition you are doing your intervals on Saturdays and the 3.8k race on Sundays. The balancing factor is the aerobic exercise via the 7k runs. My first observation is that there is quite a bit more anaerobic/speed work than aerobic exercise. I'd rather see you do a bit more aerobic conditioning. The interval session on Saturdays could make it harder for you to perform on Sundays. Ideally you wouldn't do an interval session the day before a race. Maybe experiment for a while with doing an easy 5k run on Saturdays, rather than the interval session. As the race is already a tough challenge, I'd either remove the interval session altogether or not race every week. Racing every week is quite tough. Doing the same race every week is even tougher. You quickly reach a plateau and it can be demotivating when you don't improve anymore after a while. Maybe don't race every week. Alternatively, I imagine you are doing this race with a group of friends as part of a weekly get-together, do the race every week, but don't race it every week. 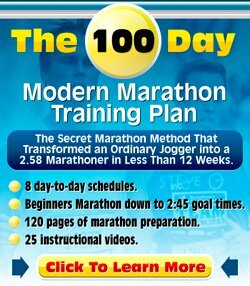 You could dedicate one Sunday a month to be a true race and use the race on the other Sundays as just a run. You could run 5k before the race, then do the 3.8k loop to make it into your long run for example. Doing this, you suddenly have the ability to be a bit more flexible with your running schedule. At the moment there is a lot of anaerobic exercise packed into a week. When you change this to three fitness classes and four regular/easy runs you get a better chance to build up stamina. You do need that speed to do a fast 3.8k, but you need to build up endurance in order to maintain that speed. So, I'd first work on building that base, increasing the length of some of your runs, pushing it from 7k to 10k or so. Once you have done that, replace one of your regular runs with a tempo run. Tempo runs are done at a speed a bit faster than easy pace and are an excellent way to build up leg strength and to get faster. I'd imagine that you'd get faster just doing this. I am not sure if I'd put the interval session back into the schedule. It depends on how tough the outdoor fitness classes are. If you put them back in, then don't do them the day before a race. Also, make the intervals longer. 30 second intervals are a good start, in fact, Veronique Billat, a famous exercise physiologist has done experiments with 30-30s (30 sec fast, 30 sec recovery). But build up the time you spend doing fast running. Go from 30 sec to 1 min, 2 min, 3 min, etc until you have built it up to something like 4 x 5 minutes with 2.5 - 3 minutes of recovery. Don't do a hard workout the day before a race. Consider not racing every week. Introduce tempo running to your running program. Base Running Drills - Why easy running should be the cornerstone of your running program. 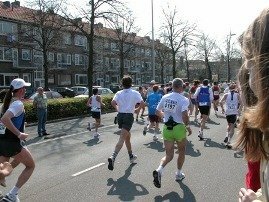 Tempo Running - About the benefits of tempo running. Interval Running - How to do interval running. Veronique Billat's Special Workouts - The special workouts from Veronique Billat (30-30 and 4x5).